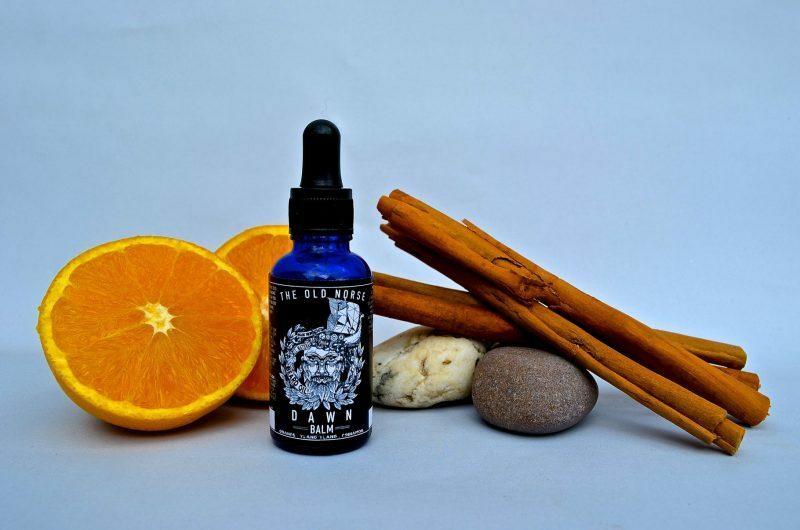 I have just finished using The Old Norse ‘Dawn’ Beard Oil, the ‘Dawn’ Scent is Sweet Orange, Ylang Ylang and Cinnamon leaf and it is surprisingly different to the ‘Dawn’ Beard Balm! For me the Ylang Ylang sat foremost which is as described very floral and fresh, then the notes of Sweet Orange with its delicate citrus aroma and that is backed up by the spicy Cinnamon Leaf. It’s important to mention that this is Cinnamon leaf which is spicy and can give off notes of Clove, its not Cinnamon bark which is sweet and warm and is shown in the photo taken from the website. Also it says Cinnamon Leaf in the description but in the ingredients list it says Cinnamon bark! This mix of essential oils is blended into a base of Jojoba, Argan, Sweet Almond, Apricot and Avocado carrier oils. This blend of oils will help to keep your beard in the best possible condition and helps to moisturise the skin under the beard and help prevent spots and dry skin and the dreaded itchy beard that drives us crazy! The Old Norse ‘Dawn’ Beard Oil was easily absorbed into my beard and left my beard feeling slightly softer, for me I would use the beard oil and then finish off with the Balm, this not only helps to keep those stray hairs in place but it also seals the oils in and for those of you out and about in the cold weather, it’s even more important! ‘Dawn’ beard oil available from The Old Norse website comes in a 30ml glass bottle with a glass dropper dispenser which I have to say is my favourite way of dispensing the oil, I am too impatient for a dripper and an open bottle is always an accident waiting to happen!